Local Bail Bondsman New York City: How Are They Different From A Bounty Hunter? Though they’re often mistakenly portrayed as having similar duties, the reality is that a bail bondsman and bounty hunter are very different. They may work together at times, but by no means are the two interchangeable. In this blog post, we’ll explain the differences between the two. These folks track down criminal defendants who have skipped bail. As we’ve discussed in previous posts, skipping bail occurs when the accused fails to appear in front of a judge for his or her court date. Fugitive recovery agents, as they’re also known, are hired to locate, arrest, and detain defendants. Unfortunately, there are cases in which bounty hunters must use surprise entry to gain access to a home in order to make an arrest. In turn, these agents are asked to train and test with firearms, handcuffs, tasers, and other weapons. Some areas require that bounty hunters have a previous background in law enforcement. Your local bail bondsman posts bail for the release of a defendant from jail. Here’s how it works. The licensed agent guarantees to forfeit the bond if the defendant fails to make their scheduled court appearance. A bondsman may choose to go to the jail with paperwork to release a defendant, however, it’s not their job to search for/arrest a defendant for not showing up for court appearances. Contrary to popular belief, bail bond agencies work and operate independently from the court system. 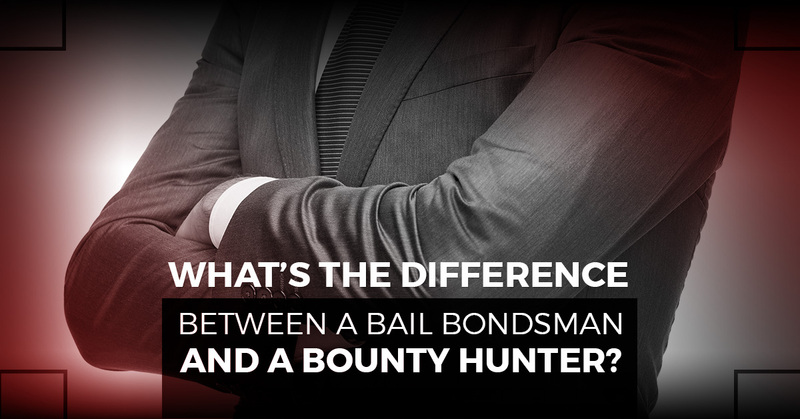 Consider this takeaway point when trying to decipher the difference between a bounty hunter and a bail bondsman. Bounty hunters are called in when things go awry and move in to make the arrest and bring the defendant back to jail. Bail agents work to help the situation go smoothly by ensuring the defendant is released from jail when bail is made. We take pride in being a third generation business with more than 50 years of experience. If you or someone you know was recently arrested and booked into a New York City jail, you need to act quickly. Rest assured that the team at ABC Bail Bonds will expedite the process, treating your case with discretion and confidentiality. Not too many people understand how posting bail works. During such a tumultuous time for your family, we make it a point to be as transparent as possible from start to finish. Those at our agency believe that everyone deserves the chance to get help from a professional bail bonds service. Those who have come to us previously would agree that ABC Bail Bonds goes the extra mile. While you may be frantic over a loved one being in jail, we will work with you in getting them out of jail as quickly as possible. That’s why we accept all major credit cards, checks, and offer easy payment plans. Our staff provides domestic violence bail bonds, immigration bail bonds, and DUI bail bonds. Not to mention, we offer 24/7 bail bonds for your convenience. If you have any additional questions regarding the difference between a bondsman and a bounty hunter, feel free to ask! When you’re stuck in a bind, turn to us for emergency bail bonds.